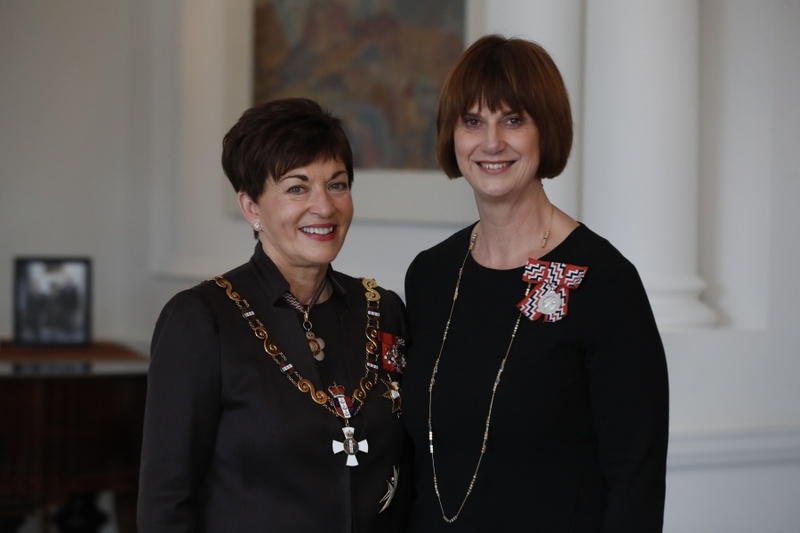 It was a proud moment on 30 August 2017 when I received a Queen's Service Medal for historical research and services to the community from the Governor General, Dame Patsy Reddy, at Government House in Wellington. My citation paid special mention to the historical books and exhibitions I have researched and written, as well as the work done for the Nelson Historical Society as a two-term president. My work with the Rotary Club of Whakatu to raise money for the End Polio Now campaign was also noted. An extra special treat was attending an investiture dinner that night with Dame Patsy and her husband Sir David Gasgoine, along with a number of other honours recipients.